Just bring this to your hair trial. For my last wedding planning update, I waxed poetic about how shopping for your wedding wardrobe (aka everything you’ll wear besides your dress) is infinitely more fun than seating charts or envelope addressing, and that’s still true. But I’ve come to find that another truly enjoyable part of wedding prep—and the thing which I think applies to Laurel’s idea of the gilded lily pad—is envisioning what your hair and makeup will look like and then getting to play IRL princess dress-up with braids and buns and lots of hair spray during hair trials to settle on the perfect look. 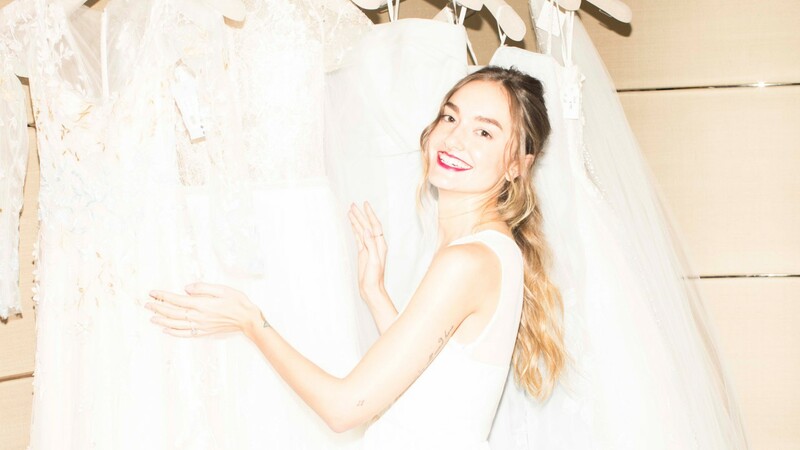 And since stylist Andria Tobey is who we turn to on the regular for hair styling 101—she showed us how to re-create boxer-inspired French braids at home and that clean-hair-not-needed braid we want to wear every single day—she’s the first one I thought to call with this bridal-y dilemma: pretty but cool, modern yet polished wedding-day hair that’s not stuffy! Ha. But of course, Tobey came through with three beautiful hairstyles, no chignons in sight. 1. To start, apply Shu Uemura Straight Forward then add a quarter-size amount of Shu Uemura Polishing Milk from the midshaft to ends on wet hair. 2. 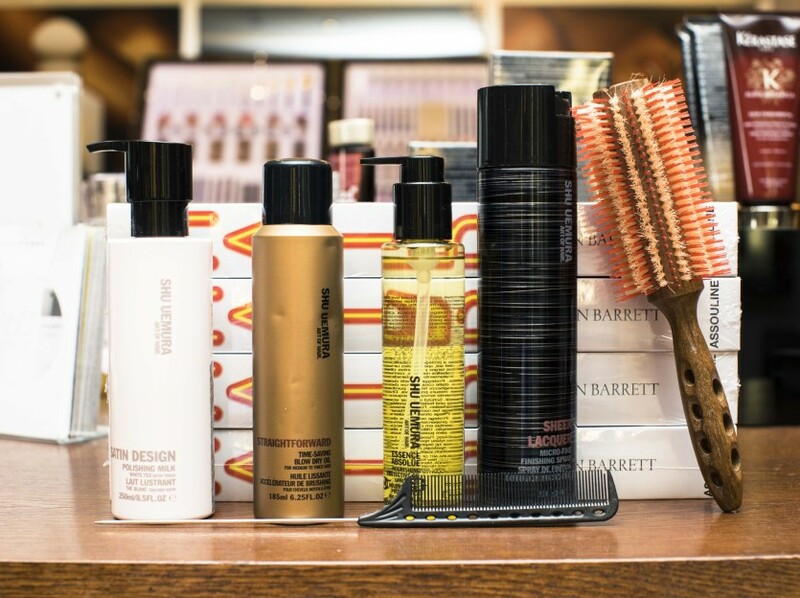 Blow-dry hair with a boar-bristle round brush for a smooth and shiny finish. 3. 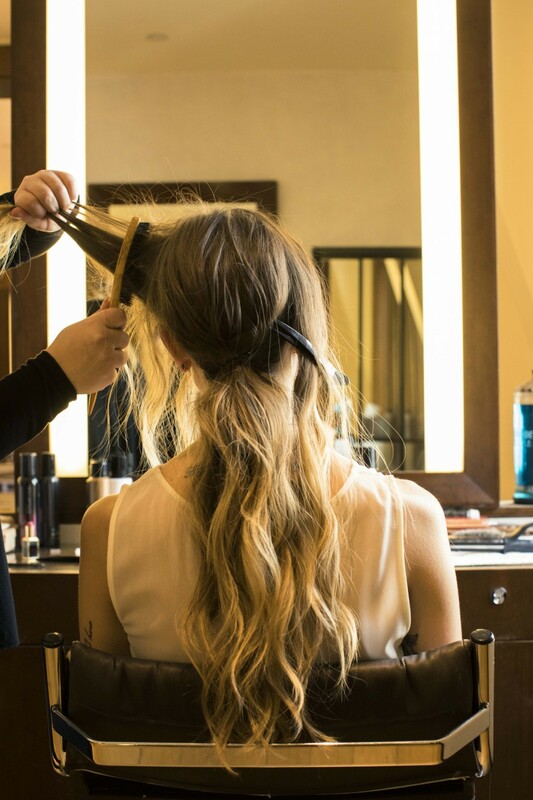 Once finished, use a GHD Classic Styler to flat-iron the whole head for a polished final look. 4. 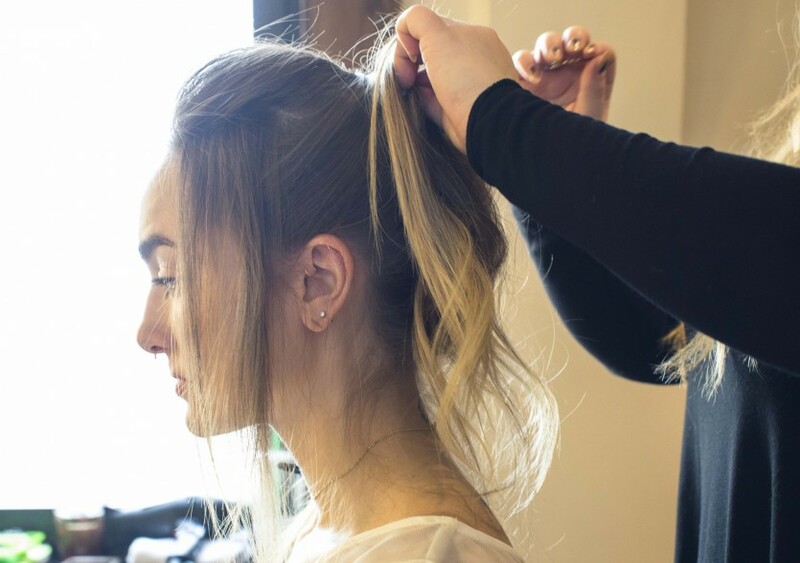 Create a strong part, and gently tuck and pin some hair behind the ears. 5. Finish with a dime-size amount of Shu Uemura Essence Absolue for extra shine and a cloud of Sheer Lacquer to tame any flyaways. 1. 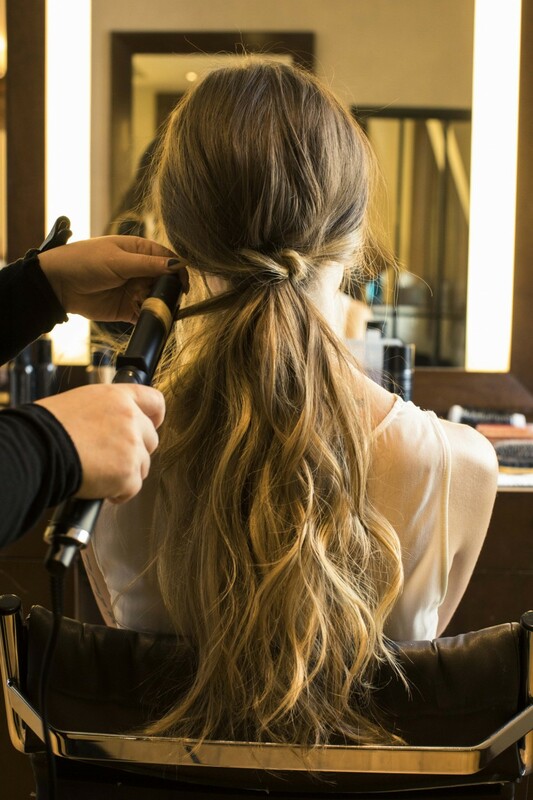 Start with clean, dry hair and curl in alternating sections using a 1" curling iron like the GHD curve. 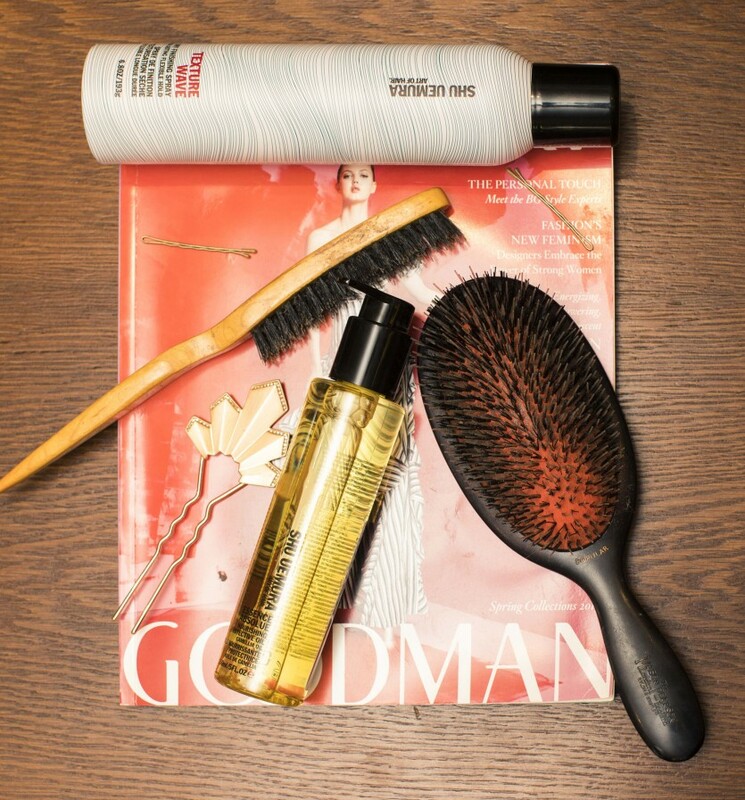 Spray Shu Uemura Texture Wave throughout hair, and finger-comb curls to create a loose beachy texture. 2. 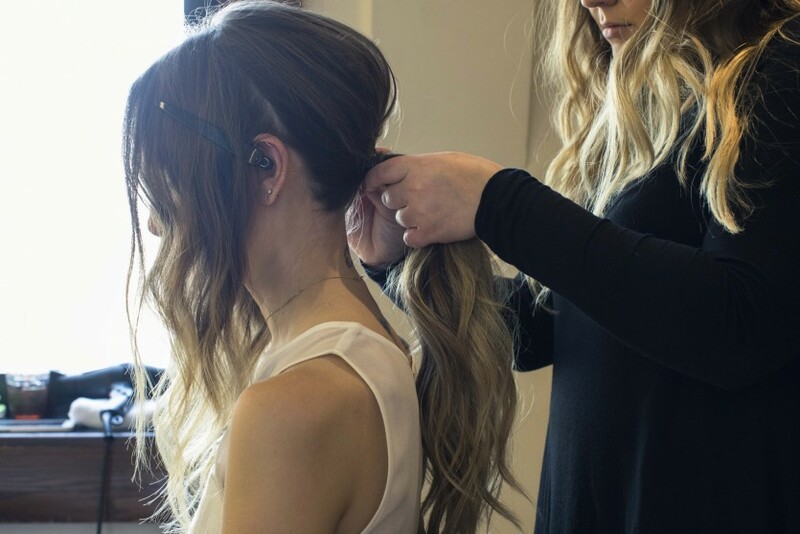 Section hair from ear to ear, and clip away. 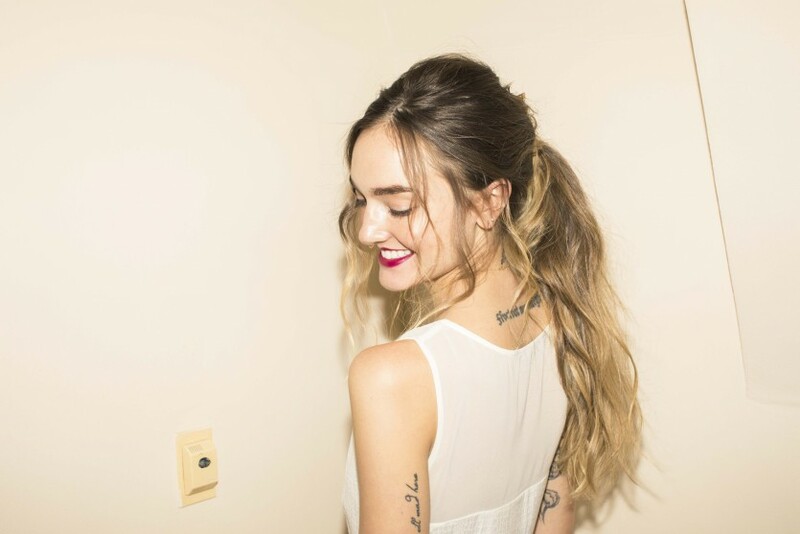 Gather the remaining hair in the back, a couple inches away from the nape, and secure into a ponytail. 3. 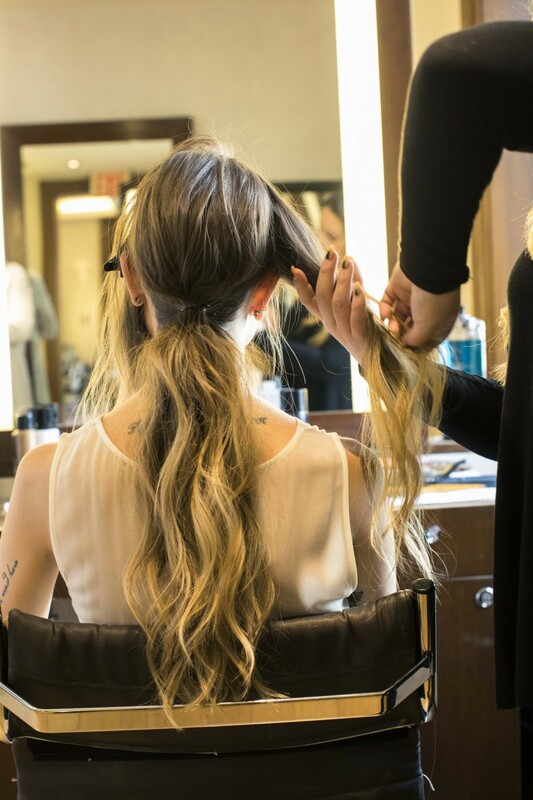 Gently tease the remaining hair in the front with a tail comb, and loosely gather and twist each side into your ponytail, letting a few pieces drop out around the face, while continuing to lightly spray Texture Wave as you pin each section back. 4. Lastly, use a smoothing brush on the ends of your ponytail to polish the ends, and spray Shu Uemura Sheer Lacquer all over to hold in place. 1. To start, blow-dry the hair with a boar-bristle brush, and set the mohawk section with velcro rollers for added volume. 2. Once dried, curl hair away from the face using a 1.25" curling iron; then add Shu Uemura Volume Maker in between each section, and massage the product in to distribute evenly. 3. 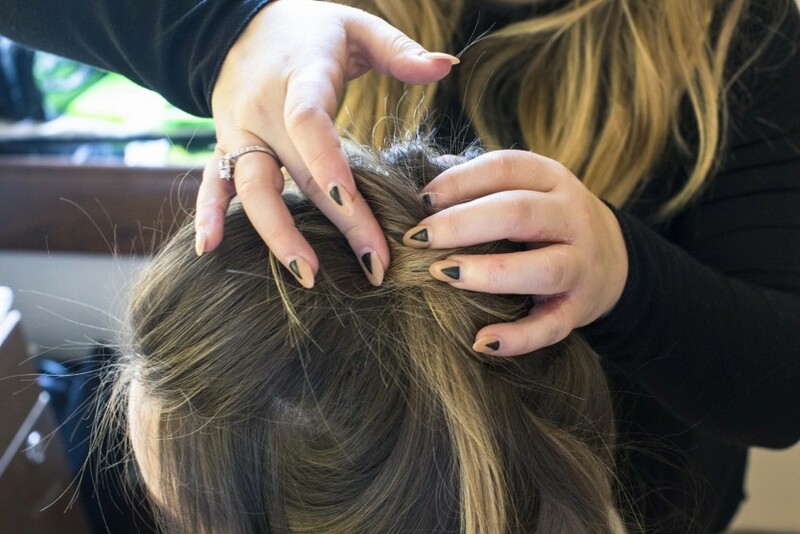 Section out 1-1.5" of the perimeter of the hair all the way around the head, then pull remaining hair into a ponytail at the crown of the head. 4. 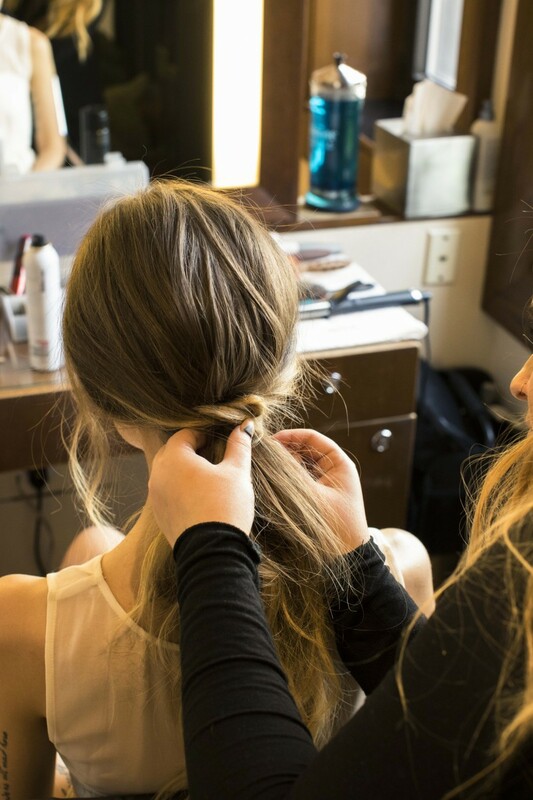 Lightly tease the remaining hair and then gently pin hair around the base of the ponytail. 5. 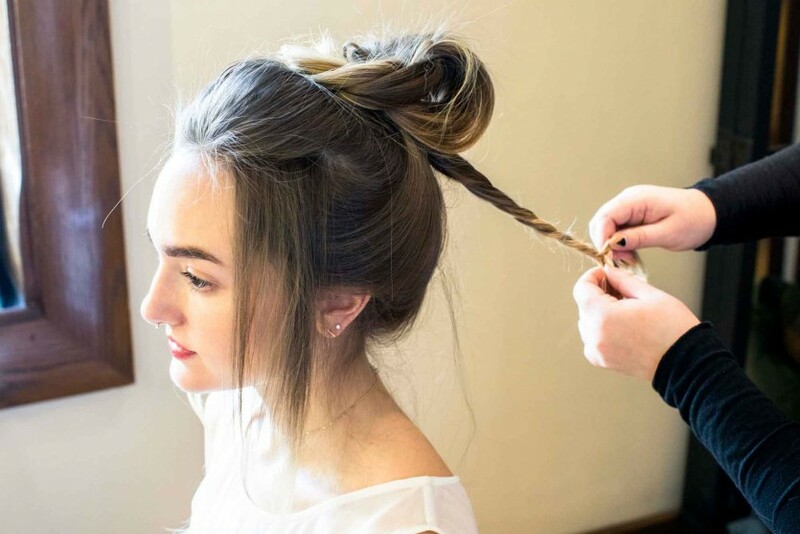 Create a rope braid with the hair at the crown and pull apart while spraying Texture Wave, and begin to form a bun and pin into place. 6. Finally, pull some pieces out around the face and spray Sheer Lacquer for hold.